When people plan for moving properties, the garden can very often be either overlooked, or completely forgotten. Come move day, you come to realise just how many potted plants, ornaments, and patio furniture you really have. So here are our top tips for ensuring that your garden is moved free from incident, breakages and stress – making for a must read for those moving to truly appreciate just how many items may well need to be considered. Patio furniture can gather plenty of dirty and grime, especially over the winter months. You should prepare these items by rubbing them over with a towel and cleaning them down with multi-surface spray (the last thing you want is green slime over your most valuable and expensive interior possessions!). Following a good clean you should then wrap your furniture up to help prevent damage as well as injury to people should they walk into a chair leg they didn’t notice (bubble wrap over any pointy bits should suffice). 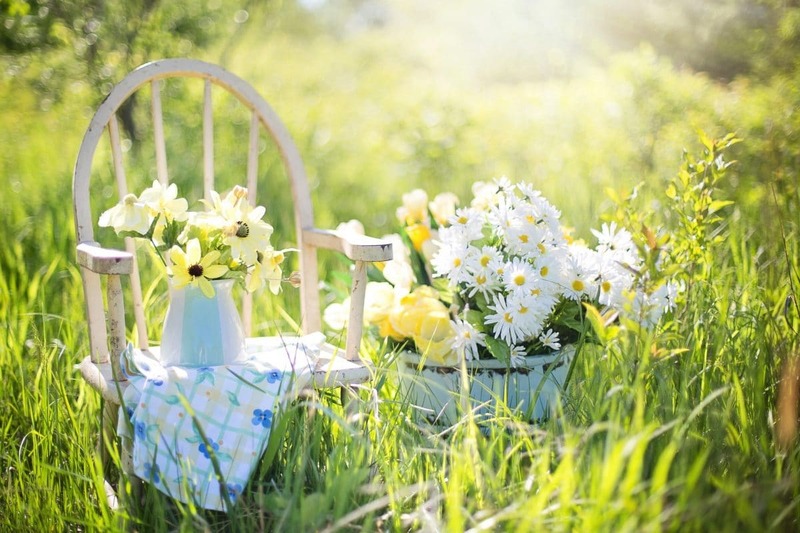 Finally, it’s vital that garden furniture is packed properly into your van – this form of furniture tends to be heavy and could potentially break or cause damage to other items if not properly secured. If packed well in a van that’s driven relatively slowly your potted plants and shrubs should transport easily (you may wish to wrap packaging tissue, Clingfilm or bubble wrap around the circumference of the tree or plant – this will help protect the leaves an/or branches better). Have you purchased expensive lighting for your garden? Then you may want to take it with you. Be sure to pack any lighting (glass or otherwise) with plenty of bubble wrap – a lot of garden lighting is now solar powered and the panels on such items are far from forgiving when it comes to an accidental drop or knock. Garden ornaments, whilst more robust than interior ornaments, can still be prone to breaking if not handled with care. Ensure that you wrap your ornaments up in the same way that you would a vase from your dining table (e.g. plenty of bubble wrap and placed into a protective cardboard box). Make sure you survey your garden well before move day for hidden toys and games (they may be found in the most obscure of places!). Do a last sweep on the day itself. Outside structures can be a nightmare to move and an even more imposing challenge to reconstruct at the other side. They also take up a lot of space in a removal van. Because of this you may wish to carefully consider whether they’re worth moving at all. Should you wish to go ahead, be sure to have a system for de-constructing it, separating parts in a logical order, and writing a note as to what goes where. Outside pets require special consideration come move day – the journey alone could potentially cause enough stress to kill them if not planned for properly. Whether you have a rabbit or a collection of fish – speak with your vet for some professional advice as to how best approach their move. We know what it takes to move even the largest and most complex of gardens. We’ve grappled with expensive patio sets and ensured that the most delicate of Bonsai trees have made it safely to their destination in the same condition they left their old home in. If you need help moving your garden (or the rest of your home) contact the team on 07931 849 112 or 01904 375 995; email on [email protected], or visit our van removal quote page for a free, absolutely no obligation quote.